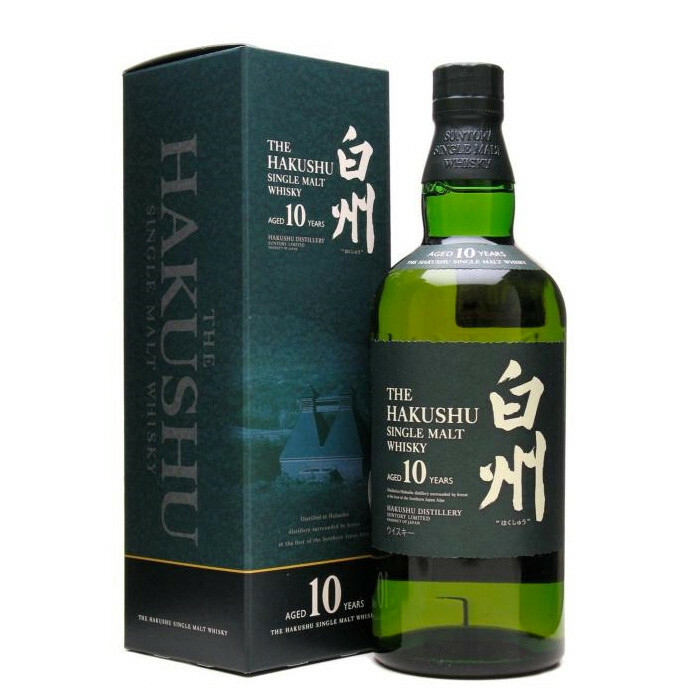 A beautiful 10 year old single malt from Suntory's Hakushu distillery, known for its lightly peaty, fruity flavour. Beautiful on the rocks, or in a cracking Mizuwari. Nose: Creamy with notes of butterscotch, mint and custard. There are hints of soft, fruity peat smoke as well as oak and strawberry jam. Palate: Thick and rich, very vanilla-led, with notes of malt, grist and soft, oily peat. More apples, some pear and a little citrus. Finish: Good finish, with notes of toffee apple and smoked prune juice.